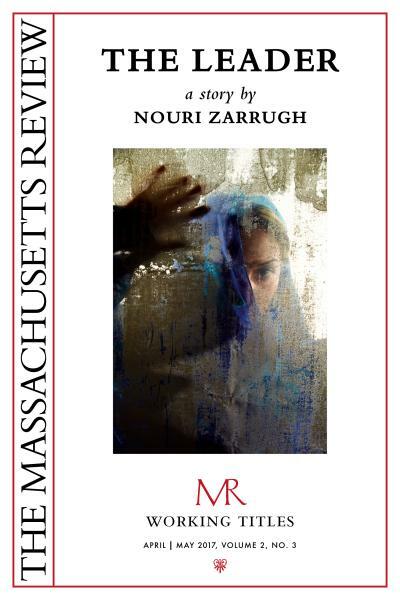 The latest working title of The Massachusetts Review is a prizewinning novella entitled The Leader by Libyan-American writer Nouri Zarrugh. The novella follows three generations of a Libyan family during the reign of Muammar Gaddafi and the aftermath of the revolution, and is introduced by Khaled Mattawa. Check it out at http://massreview.org/node/787. اخر عنوان خطي لمجلة “ماساچوستز” هو رواية قصيرة “القائد” للكاتب الليبي الامريكي نوري زروق. الرواية القصيرة تتابع ثلاث اجيال عائلة ليبية خلال فترتي نظام معمر القذافي و ثورة فبراير و لها مقدمة من قلم الشاعر خالد مطاوع. It was when she heard the laughter that she finally understood, voices in the alley giving way to the pop and scatter of what she now recognized as firecrackers, to the exclamations of the boys who lit and tossed them and to the nasal cries of the youngest among them, who begged to spark the fuses. She lay there a long time listening as they tried out their bottle rockets and smoking black snakes, eager for the coming mawlid, when they would march down Sharaa Fashloum and Ben Ashour, the older boys bearing makeshift torches and singing, the younger boys relegated to harmless sparklers and pouting. She waited for the footsteps of the other women but had by then learned that only the morning prayer call could draw them from their beds to wash and dress in the darkness. Theirs was a sleep of boundless exhaustion, all of them foreigners, maids and nannies, and it seemed at times that all that kept them awake was their duty to Allah and to the task he’d given them of surviving. . .